Imagine a student planting a seed in our school's garden, and just days later seeing a tiny leaf pushing up through the soil. Tending to new plants teaches children responsibility and teamwork. It provides an opportunity to bring science, math, social studies, and language and visual arts to life through hands-on learning. Vegetable gardens let children taste the wonders of fresh food. Plus parents, students and teachers can all enjoy the growing feeling of community that comes from sharing a new adventure. 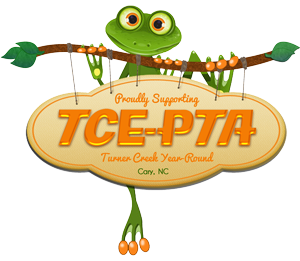 The TCE-PTA Building and Grounds committee is now forming a Garden Club. 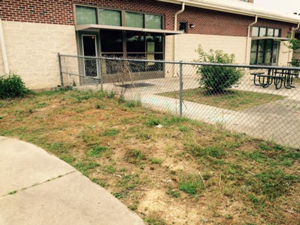 We will transform a neglected, overgrown area of Turner Creek into vibrant outdoor learning environment! 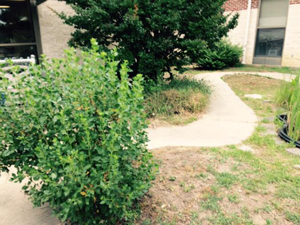 If you are interested in being a part of this "growing" community, or sponsoring this outdoor classroom please contact Shannon Sharma to learn more about the plan.